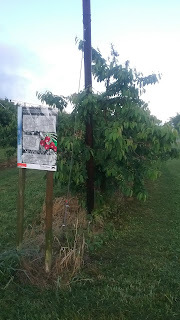 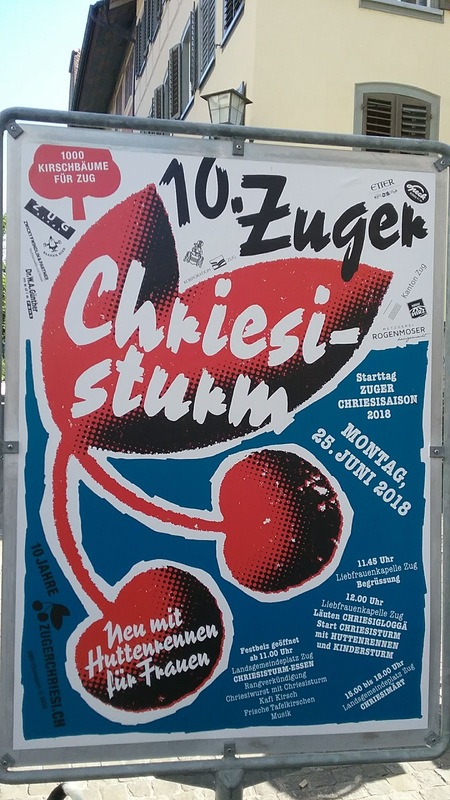 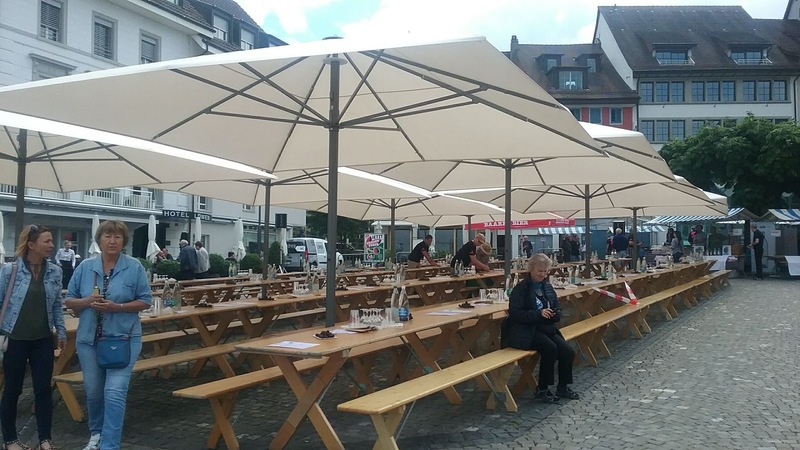 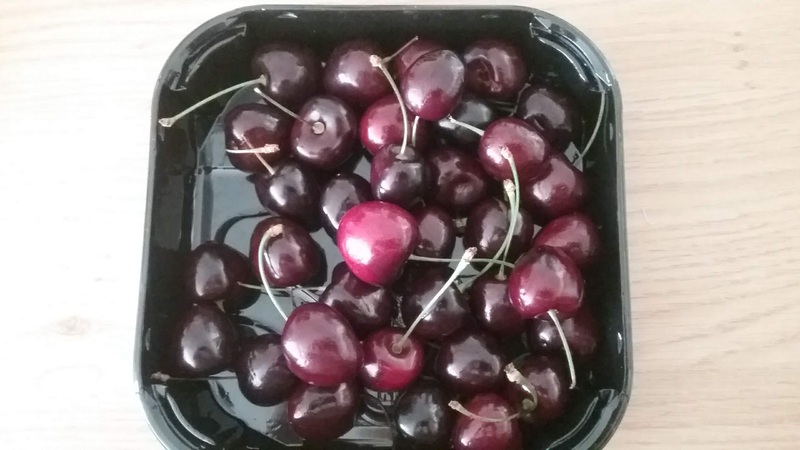 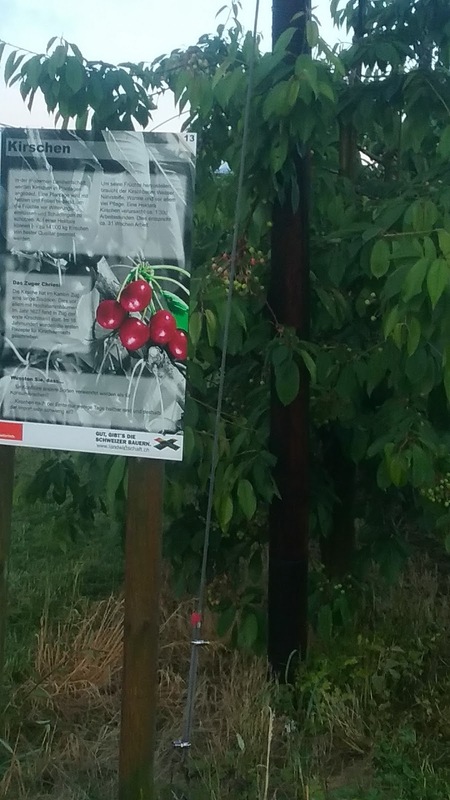 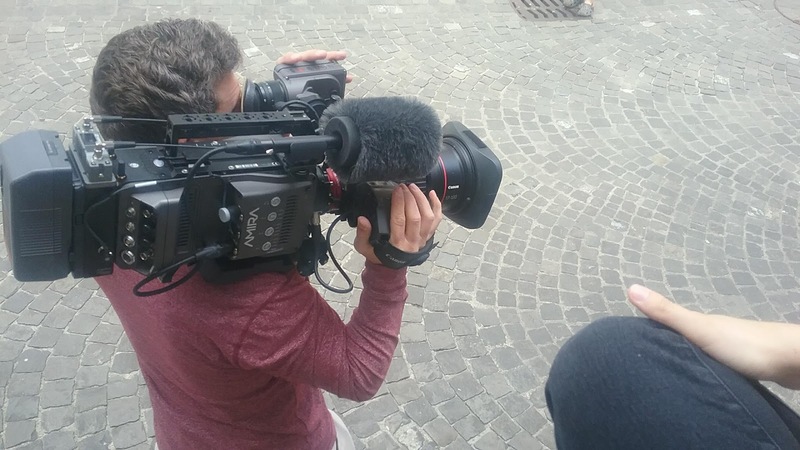 Canton Zug, is known for many things: favorable tax laws, Blockchain/Bitcoin hub, and for cherries. 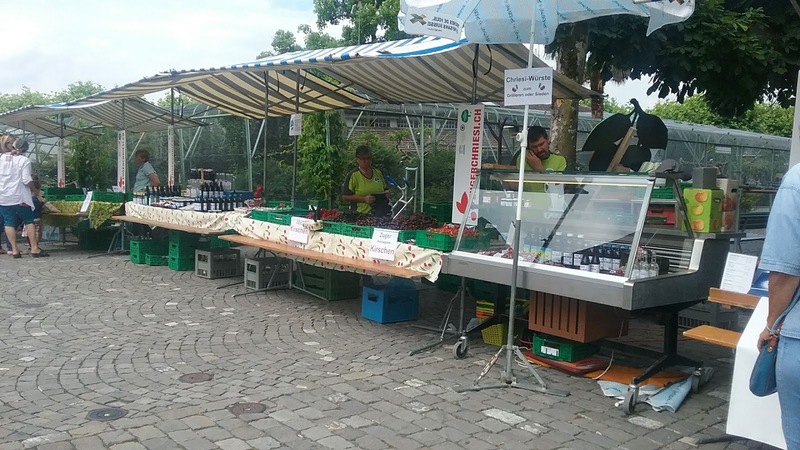 Yes, the small, red, tangy fruit is a big deal in Zug. 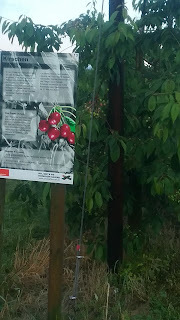 ...cherry trees are prolific throughout the Canton. 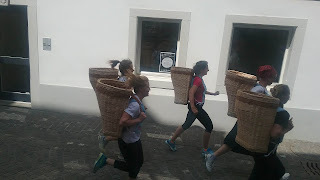 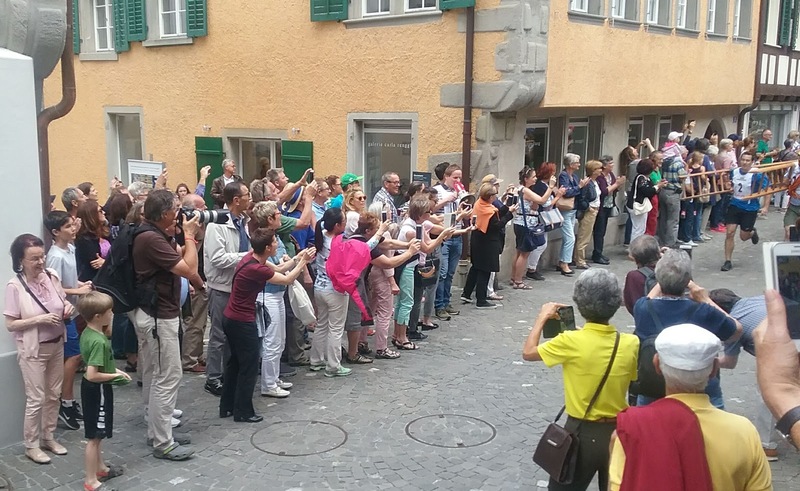 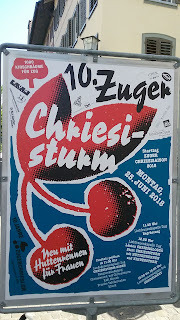 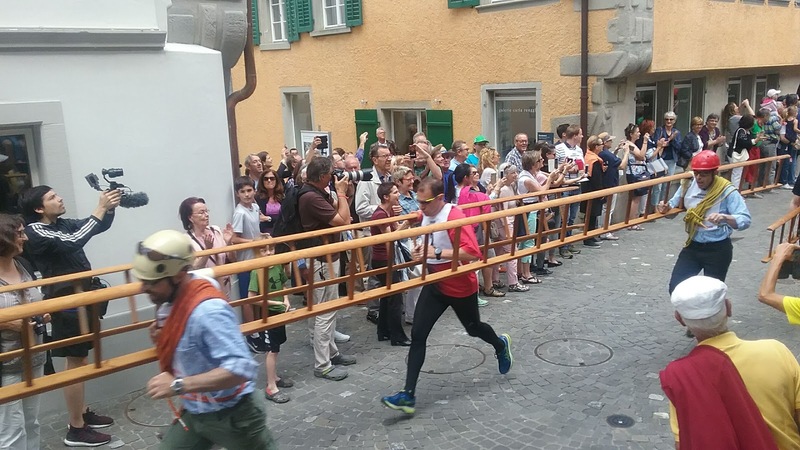 So much so that they have a huge, 200 year old, traditional festival, complete with the 'Chriesisturm' or Cherry Race. 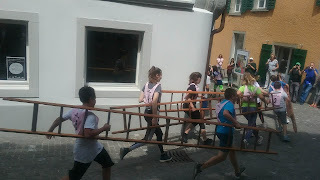 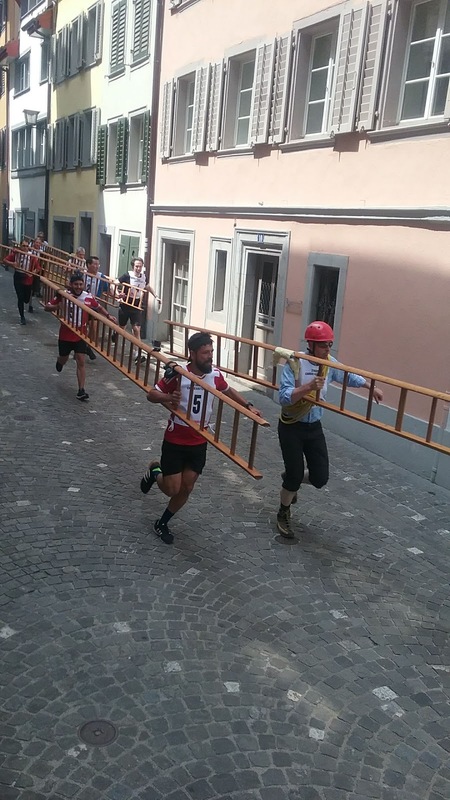 Boys and girls carrying ladders. Lots of cherries for sale.